Sharon, that’s a lovely composition! I love this because I always enjoy the image of a road or lane leading into the unknown. Pingback: tater holler — Sunearthsky — До каждого с миром! Beautiful! Makes me want to go on a road trip with some girlfriends. Thank you! I hope you get to take that trip soon! Wow, what a gorgeous shot! I love it when photographers can bring out the beauty of the countryside. Simply breathtaking. Feels like being home. The countryside is always beautiful. Thanks Sharon. My pleasure. Thanks for the kind comment! Great picture! So many things “right”. Colors. Depth. 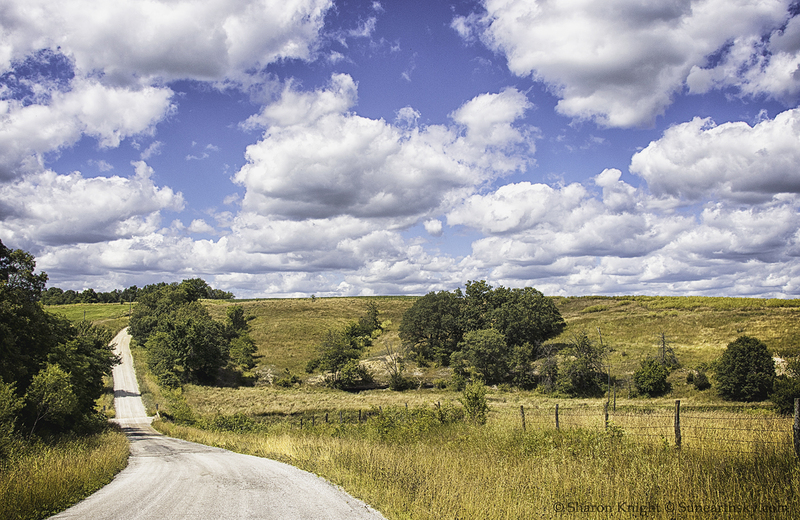 Road leading to… endless possibilities. I love your gift/photography- you speak volumes!